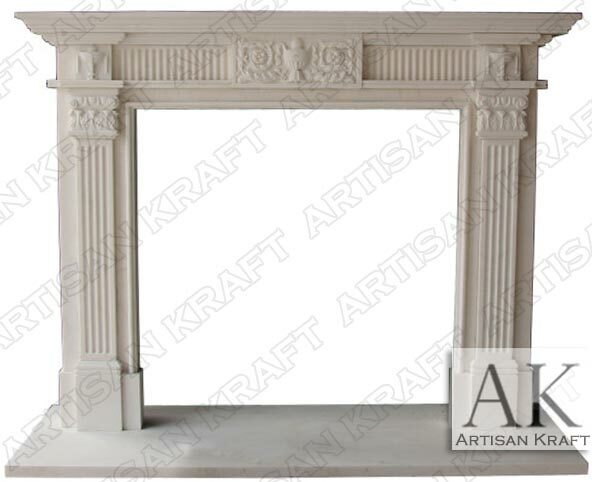 The Georgian Colonial white marble stone fireplace surround is hand carved. It is pictured in white marble. Available in many different colors. Fluted pilasters with flared caps. This is a decorative design to accent all the fine features in your home. 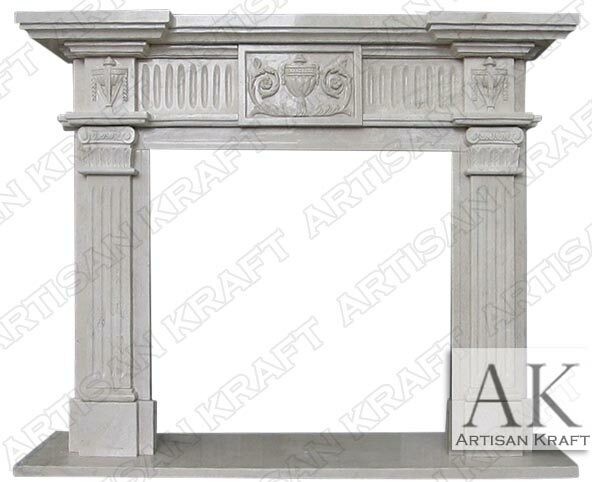 The Georgia fireplace showroom mantel is similar to this model. You can buy both online on our sale page. Typical Dimensions: 65″ wide x 48″ high *can be made to custom dimensions.